Start off your visit on the 18th (Sun): identify plant and animal life at Atlantic Forest South-East Reserves, take in the spiritual surroundings of Santuario Dom Bosco, then see the interesting displays at Espaco Lucio Costa, and finally take a leisurely stroll along Pontao do Lago Sul. Here are some ideas for day two: get the lay of the land with Walking tours, then walk around Parque da Cidade (Sarah Kubitschek), then get a sense of history and politics at Itamaraty Palace, and finally contemplate in the serene atmosphere at Catedral Metropolitana. To see photos, where to stay, reviews, and more tourist information, read our Brasilia trip maker website . Maraba to Brasilia is an approximately 22-hour car ride. You can also fly. Traveling from Maraba in August, expect Brasilia to be a bit cooler, temps between 33°C and 15°C. Wrap up your sightseeing on the 19th (Mon) early enough to travel to New York City. New York City is known for museums, nightlife, shopping, historic sites, and parks. Your plan includes some of its best attractions: take in the pleasant sights at Central Park, pause for some photo ops at 9/11 Memorial, take in panoramic vistas at Top of the Rock, and don't miss a visit to Rockefeller Center. To find ratings, photos, other places to visit, and tourist information, read New York City trip app . You can do a combination of flight and bus from Brasilia to New York City in 15.5 hours. Another option is to fly. The time zone difference when traveling from Brasilia to New York City is minus 2 hours. Plan for somewhat warmer nights when traveling from Brasilia in August since evenings lows in New York City dip to 25°C. 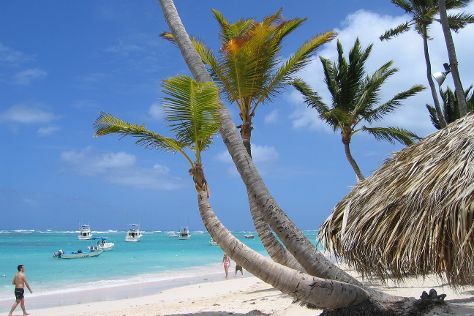 Finish your sightseeing early on the 23rd (Fri) to allow enough time to travel to Punta Cana. In an area boasting beaches that face both the Atlantic Ocean and the Caribbean Sea, vacations in Punta Cana have been popular with tourists since the early 1970s. Kick off your visit on the 24th (Sat): play a few rounds at Punta Espada Golf Course and then enjoy the sand and surf at Bavaro Beach. To see other places to visit, ratings, more things to do, and tourist information, read Punta Cana road trip site . Traveling by combination of bus and flight from New York City to Punta Cana takes 8 hours. Alternatively, you can fly; or do a combination of bus, flight, and shuttle. Traveling from New York City to Punta Cana, you'll lose 1 hour due to the time zone difference. Expect a bit warmer evenings in Punta Cana when traveling from New York City in August, with lows around 29°C. Wrap up your sightseeing on the 24th (Sat) to allow time to travel back home.